I notice that when I look good, I feel good. I’ve been making an extra effort lately to take better care of myself. For years, I let my nails go. I was a nail biter and never really gave them much thought. It was only in the last couple years that I’ve been putting more focus on making my nails healthier and taking better care of them. I catch myself now when I start biting them and am more conscious how they look. Plus, I think nails are fun and there are so many ways to create your own personal look with colour. It all starts with the foundation though- having a healthy set of nails as your canvas. 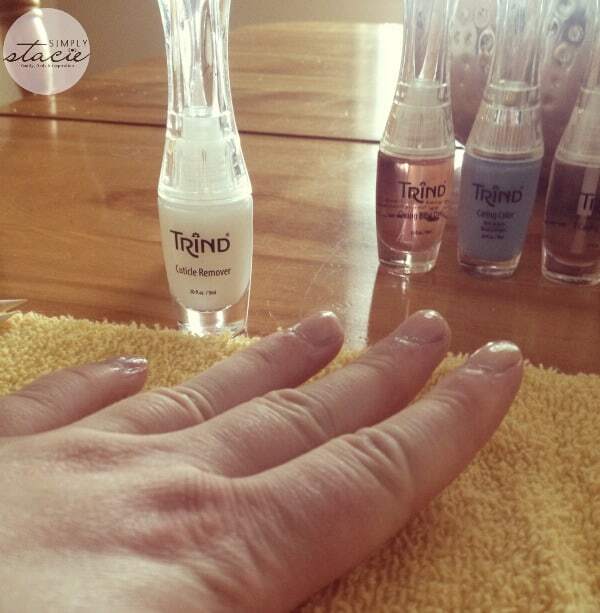 I recently learned about Trind, Europe’s most trusted and respected line of hand and nail care products. They have been going strong in Europe for 25 years and now are making a debut on The Shopping Channel on August 5th. Now North Americans can see for themselves why Europeans love this company. Word about Trind’s hand and nail care collection is spreading like wildfire here and people are talking about how much these products improved the health and appearance of their nails. 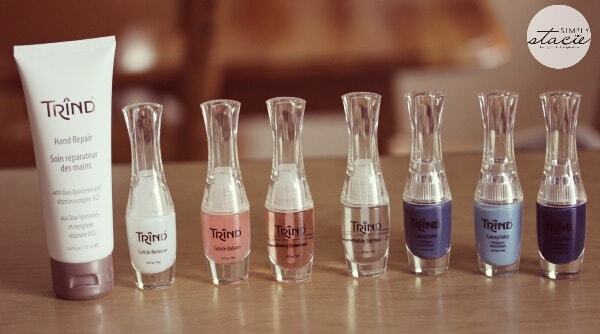 Trind’s unique products are made with high quality ingredients that nourish and strengthen the nails. They also help to stimulate nail growth and result in improving the condition of nails and cuticles. I’ve just started using Trind nail care products and have already noticed a difference in my nails. 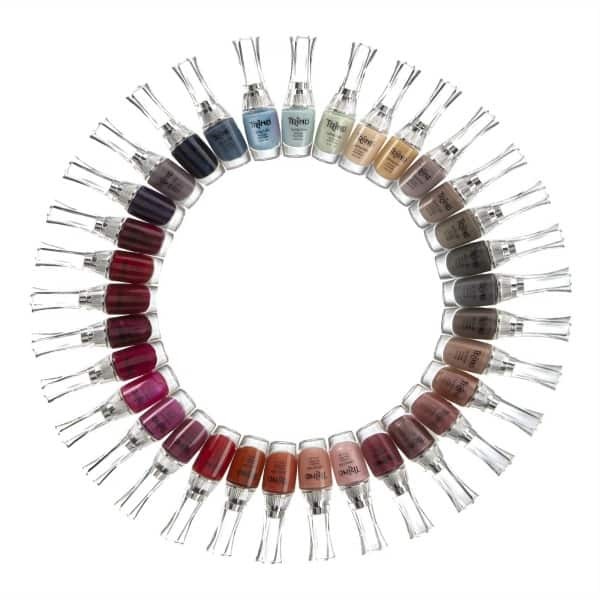 Trind also has a gorgeous line up of nail colours to create your own personal look. I’m loving this trendy deep blue from the Knock It Out of the Park special edition Caring Colors pack. The glossy finish is heightened with the inclusion of the Trind Top Coat. It’s so shiny you can see my reflection in the nail. I’m well on my way to healthy nails with Trind. My favourite product that I tried was the Cuticle Balsam. I can’t wait to say good riddance to hang nails! Like I mentioned, Trind is debuting on The Shopping Channel on August 5th. Here’s a bit of information about a few of the products to be featured. This kit is a Trind best seller for women who want to repair dry brittle nails that just won’t grown. 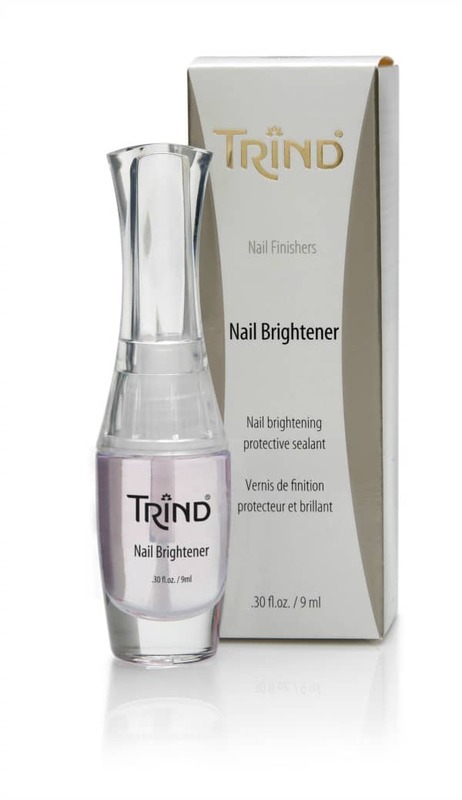 The Trind Nail Balsam hydrates and moisturizes the nail and helps to create the perfect balance of moisture and protein in the nail. The Trind Nail Repair strengthens the nail and helps to promote flexibility. This product gives you the perfect French manicure look by enhancing your bare nails. It accents the colour of the nail bed and white nail tips. You can also add it to your regular coloured nail polish to give it a luster. Think of it like a French Manicure in a bottle. This kit is a chemical free solution for thin, brittle and chipped nails. Keratin is a protein that strengthens and moisturizes the nail. 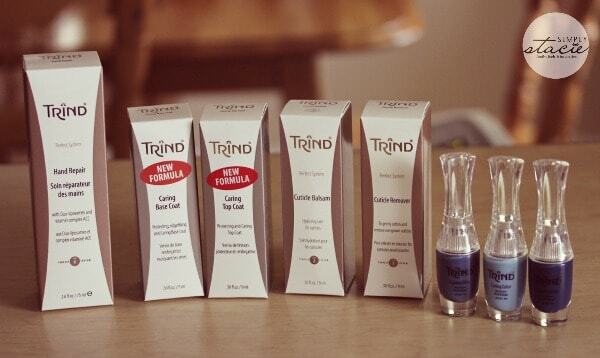 Trind is the first nail compnay in the world to introduce a nail care solution based on Keratin. It’s a mild solution that treats even the most sensitive nails. This kit comes with the Cuticle Remover and Cuticle Balsam. The Cuticle Remover is alkaline so it’s gentle on the skin. It helps to remove excess cuticle and hydrates the nail. The Cuticle Balsam contains duo-liposomes which provides deep hydration for all three layers of skin. This kit works great with the Moist & Shiny Kit. I have some nail care tips to share today to help you improve the health and appearance of your nails. 1. Drink at least 6 glasses of water a day. Dehydration can lead to splits and cracks in your nails. When you keep your body hydrated, you are also keeping your nails hydrated. 2. Eat a well-rounded healthy diet. Fruits and veggies are packed with vitamins and enzymes needed for maintaining healthy nails. Eat foods like broccoli and fish that are rich in sulfur and silicon as well as foods with biotin like whole grains. 3. Drink carrot juice if you can’t tolerate milk. Carrot juice is high in calcium and phosphorus which are essential for maintaining healthy cuticles and nails. 4. Eat real food instead of protein bars and supplements. Natural food is better for your body and to maintain healthy and strong nails. 5. Take your vitamins. The most important vitamins are Vitamin A, Vitamin C, calcium, folic acid, protein, Vitamin B12 and zinc. Talk to your doctor before you start a new supplement. 6. 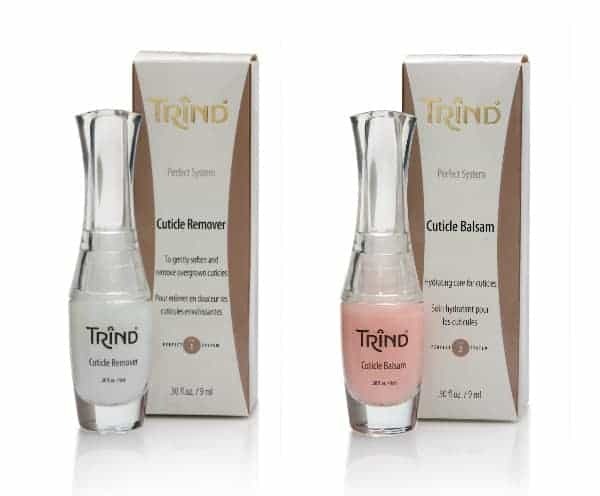 Use Trind Moisturizing Nail Balasam and Trind Cuticle Repair Balsam daily to help with dry, brittle nails. These two products keep your nails hydrated. 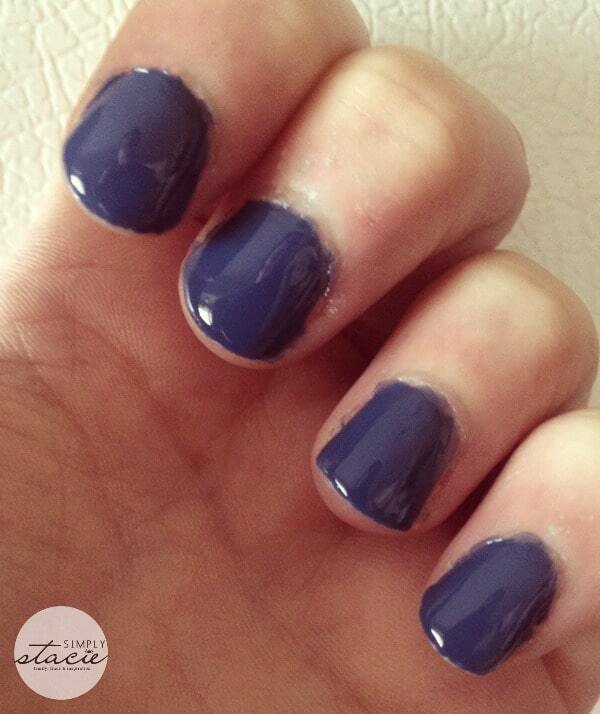 Trind insider Judith shares tips on how to achieve a beautiful bare manicure. Check out Trind on The Shopping Channel tomorrow (August 5th) at the following times (EST): 9:30, 12:30, 16:30 and 19:30. You can also find out more info about Trind on The Shopping Channel website. Connect with Trind on Facebook, Twitter and Pinterest. I am most looking forward to the Trind Keratin Treatment for Nails Kit. Trind Keratin Treatment for Nails Kit. I really want to try the the Cuticle Remover and Cuticle Balsam. My cuticles are just awful. I like the Keratin Treatment for Nails. 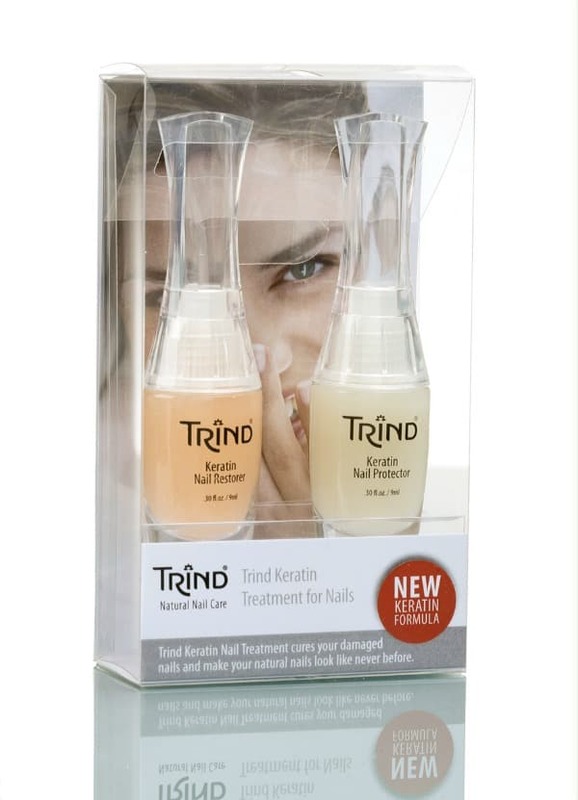 I am looking forward to trying the Trind Keratin Treatment for Nails Kit . I would love the KitchenAid Pro 6500 Design Series Stand Mixer with Clear Glass Bowl. i like the Trind Keratin Treatment for Nails Kit. I fell in love with the Vince Camuto Ressamae Classic Mid Heel Pointed Toe Pump. Thanks for the opportunity to win. I am in desperate need of the nail restorer with keratin. I would like to try the Trind Nail Repair! Trind Knock it Out of the Park Limited Collection is my must-try! Trind Knock it Out of the Park Limited Collection! My wife is looking forward to trying the Trind Keratin Treatment for nails.